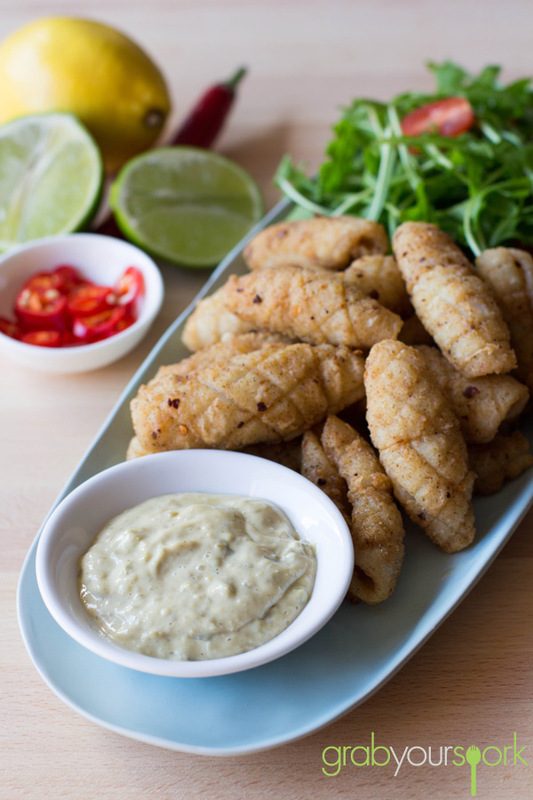 Salt and Pepper Squid is a popular item of modern Australian cuisine, making a regular appearance on many café and restaurant menus. For those who haven’t made it before it is actually really easy to make at home. 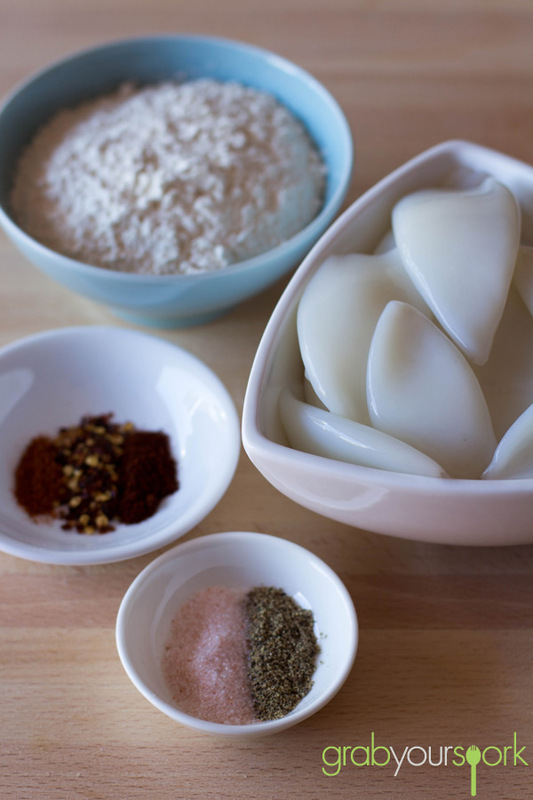 After preparing the squid hoods, just toss a few dry spices and flour together, coat the squid and with a quick cook in some vegetable oil you have yourself a great appetizer or main meal. When preparing the squid we used baby squid hoods, however you can use whatever size is available and cut them into small pieces. You want to ensure the hoods are well cleaned and score the inside of the hood being careful to not cut all the way through. Before coating in the mixture give the hoods a quick dry with some paper towel to ensure your flour doesn’t go too gluggy. There are a few variations to the spice combination; some people prefer to use szechuan pepper, Chinese five spice, even some garlic powder or dry chicken stock etc. For our recipe we used a combination of spices we always have in the cupboard – red chilli flakes, smoked paprika, chilli powder and of course the main stars salt and pepper. Once the squid is ready ensure the oil is hot enough and fry the squid in batches till golden brown. The squid will only take a couple of minutes to cook. Serve immediately with a simple salad for entrée or main. We had ours with a yummy lime and caper salsa from A Bit On The Side which we picked up in Denmark over the Easter break! Salt and Pepper Squid made with a combination of red chilli flakes, smoked paprika, chilli powder and of course the main stars salt and pepper. Use a sharp knife to cut through 1 side of each squid hood lengthways. Open out flat with inside surface facing up and score surface diagonally. Pat dry with paper towel. 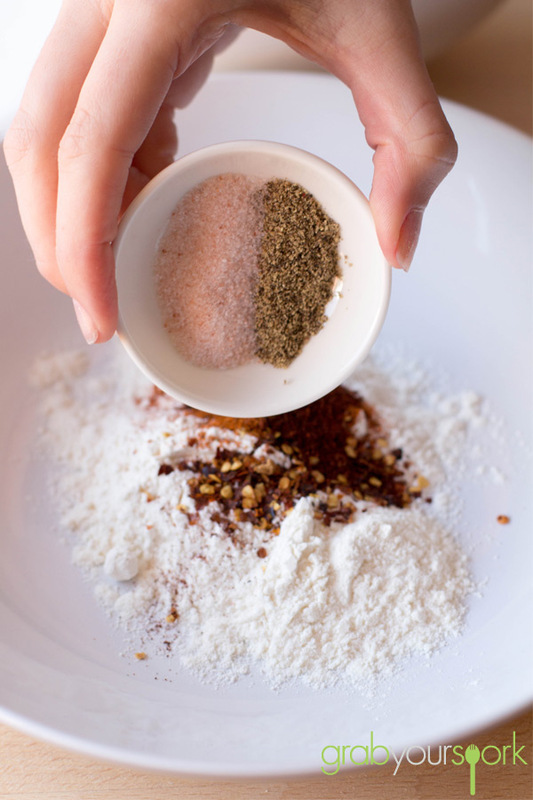 Combine the flour, spices, salt and pepper in a bowl or on a plate. Gently coat each piece of squid in the spice rub. Heat the oil in a large wok over medium heat until it reaches around 180°C. 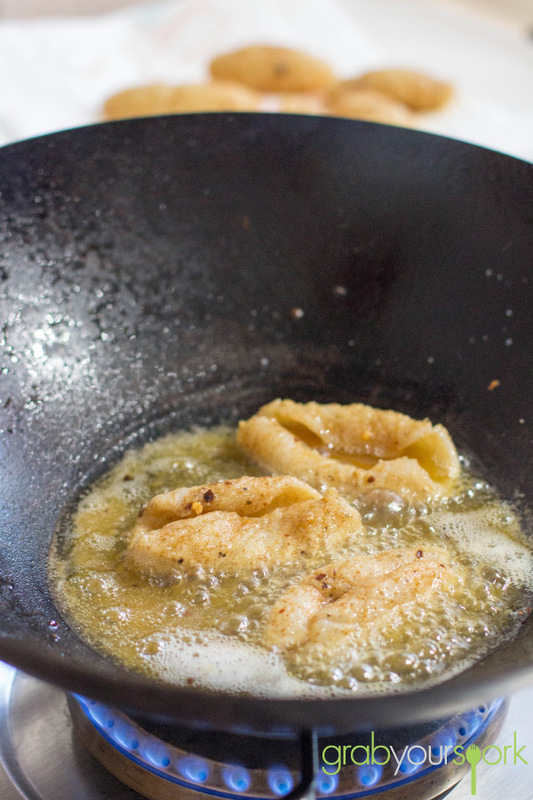 In batches cook the squid in the wok for 2 minutes or until the squid just turns golden and curls. 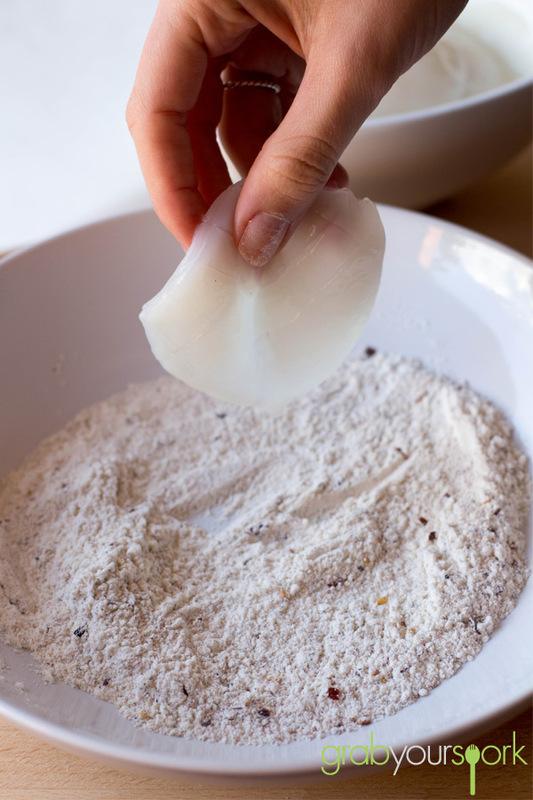 Use a slotted spoon or tongs to transfer to a plate lined with paper towel to drain. Ensure the oil has returned to temperature before cooking next batch and repeat. 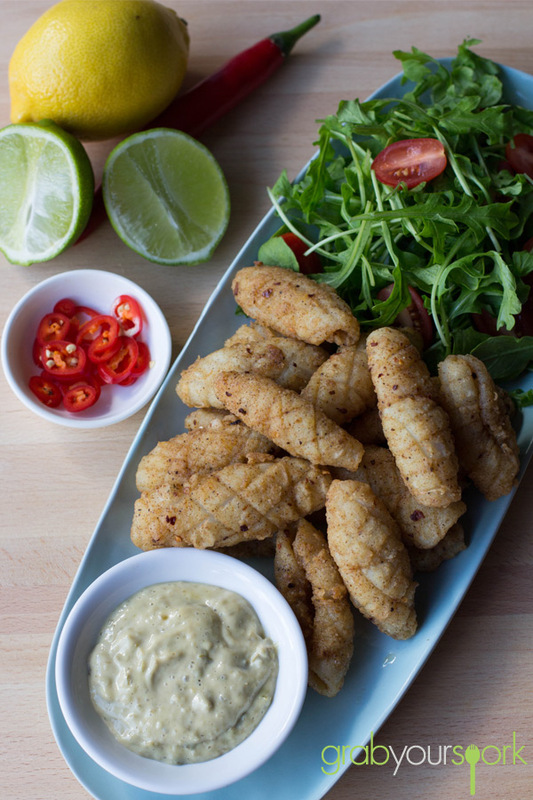 Serve immediately with a simple salad, a dipping sauce and fresh lemon or lime wedges.